It looked like my theater show drought was finally coming to an end. 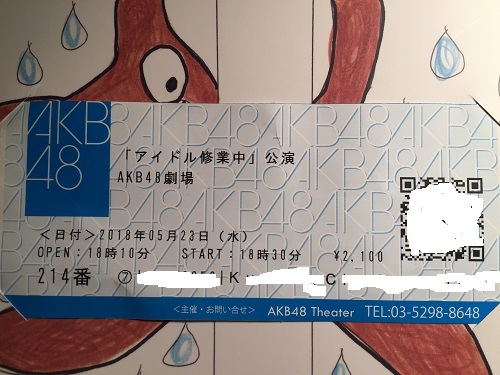 I only briefly mentioned it on the NSK Podcast post here a few months ago, but I won my 40th theater show back in early January, and since then I have had 4 consecutive really high cancel machi invitations, and ultimately didn’t get into the theater on any of them. Well…I did win the ‘last chance’ “High Wave” draw a couple of times, where you get to enter the theater after the show and greet the members, but no actual show wins. On Monday I received a cancel machi email for Wednesday night’s show. The good news was that it was a Fan Club cancel machi, meaning the number (#35) would be a lot lower, thus increasing my chances of winning. 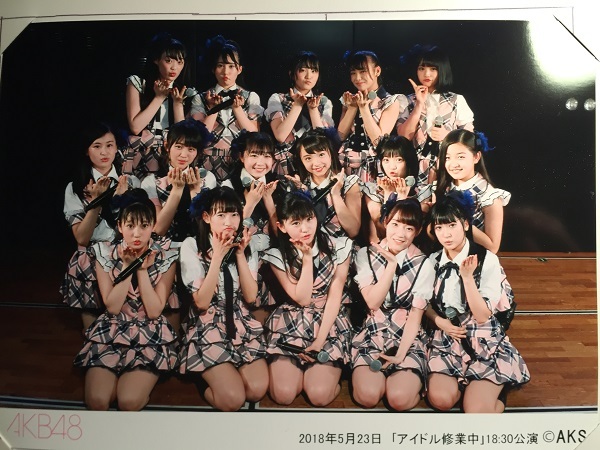 I checked the show roster, it was the Kashiwagi Yuki produced stage, which features many the 3rd Gen draftees, as well as some of the 16th Gen kenkyuusei. There were really no members I was a huge fan of, and I had never seen the new AKB draftees before, so I would be going into this fresh, providing I actually won. One of the Wasafans I hung out with Tuesday night checked the show history, and for this stage the cancel machi has always gone over 50. That’s good. I spent the morning periodically checking the ticket center to see how many early cancellations there were. It was really slow going at first, but after the rainstorm came the number started increasing. I headed over to Akihabara and the Donki a little earlier than usual, and went upstairs around 15 minutes before the cancel machi call. To make a long story short I got into the seat lottery. I was good to go. It was my 41st theater show. Now the question was how good my draw in would be. FRONT ROW BABY!!! THIS IS GOING TO BE GREAT! It’s funny though, it is usually feast or famine for me with these draws. I either get the first row, or I am stuffed somewhere in a back corner staring above many shoulders. But this meant I was gonna get a really closeup view of the members, and of course it meant I was going to get fished a lot. The question was by who? And how much? Suzuki Kurumi did the Kage-ana, and the show started a few moments later. This stage is relatively new, and for the most part has a very strong setlist. At least that seems to be the consensus. There is a lot of energy to the stage, and it is sprinkled with quite a few iconic songs like Blue Rose, River, Nage Kisu de Uchi Otose, and Enkyori Poster. It also includes one of my old favorites, Sobakasu no Kiss. My first impression of the show was that all the members were full of energy. It helped that it seemed to be a really rambunctious crowd, even more so than usual. And it wasn’t a minute into the song that I had my first fishing attempt. This draftee member came right up to the edge of the stage and started pointing right at me. She was adorable too, but I didn’t know who she was. Later on in the same song I had a similar interaction with Kurumi, but I could not wait to get to the MC to find out that girl’s name! There are quite a few goofy members in this new gens, and there were two members in particular acting crazy through the entire MC. One was Maeda Ayaka, who I didn’t remember being like this. The other one was Sato Shiori, the draftee from Hokkaido. In a way, she reminds me a bit of Zunchan. Her devilish grin also reminds me a bit of Tani. Anyway, Shiori just acts goofy all the time, even when she is performing. I was cracking up watching her dance during Tsundere. Oh, and that cute draftee who fished me? It was Kobayashi Ran, (Ranchan!) Great, now I know who I am rooting for during the show. By now it is no secret that Yahagi Moeka is a superior singer. She was great control and nuance. In fact, I’d say singing-wise she is superior to Akimoto Sayaka. My only complaint is that she is a bit frozen for the first two verses of Mushi no Ballad, and then goes into ‘spasm’ mode on the last verse. It was a lot of herky-jerky convulsing. So in that respect I think she still needs to work on matching the proper emoting that Akimoto was so brilliant at doing in the original K-Stage. But singing-wise, two enthusiastic thumbs-up! One of the funnier MCs was when the girls were discussing what physical or character trait they admire, or want to ‘take’ from the other members. A couple of them agreed that they admired Yahagi’s singing prowess, but I was surprised when Kurosu said that she wanted Ranchan’s oshiri. Really? She’s kinda young. Then again, Kurosu is super-skinny, and probably lacking back there in the curve department. I was ecstatic to hear them perform Sobakasu no Kiss, which is one of my old faves. Moreover, I also know all the hand motions to it, so I was ‘dancing’ along with the girls on stage. That got me quite a bit of attention; first from Kana-chan then Shiori, and finally Taya Misaki who started fishing me really hard toward the end of the show. Although I think she calmed down when she saw me screaming for Ranchan, who was right next to her at the time. Like Team B Oshi, the “fresh” version is just as big a mess, but I do get that it is a bit of a crowd-pleaser. I was wondering how the girls always remember the order, especially with the lineup occasionally changing. Kobayashi Ran: Ranchan made a wise move by focusing on me so early in the show, since it guaranteed I would be focused on her for the rest of it. I think she has great energy, enthusiasm, and is really cute. She reminds me a bit of Ariyasu Momoka (former Momoclo) and Sato Minami (16th gen) Anyway, she came away as my show MVP, and someone I want to meet during handshake events. Suzuki Kurumi: I started noticing it earlier this year, but Kurumi is fast becoming a true stage leader. It surprises me since early on I found her to be kinda bland and uninteresting. But she has grown a lot, and is someone to watch. Yahagi Moeka: Exceptional singer, good personality. She caught my eye quite a bit during the show, and I was impressed overall with her solo unit. At one at the end of the show she spotted me and started waving, then accidentally almost missed her queue to talk. She was caught off-guard, LOL. Otake Hitomi: Reminds me a lot of Anai Chihiro, looks-wise. She was one of two draftees who came across as more mature, both in looks and demeanor, the other being Honda Sora. Both of their presence was abundantly felt throughout the show. 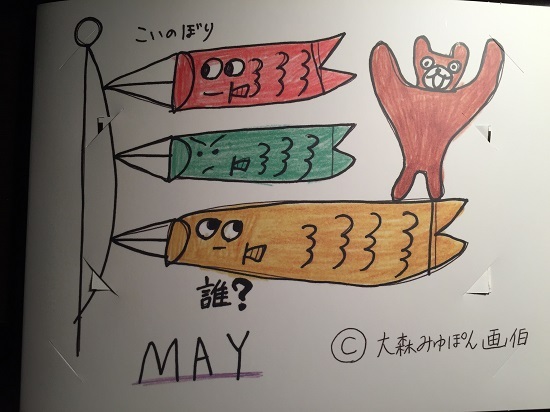 Taya Misaki: Who made a significant effort to fish me during Team ‘Fresh’ Oshi, pointing at me and then herself. She has tried with me before, so she gets points for that. Before we left for ‘High Wave’ we were treated to the full Teacher Teacher MV. Visually, I like the PV quite a bit. In fact to me the visual is a lot more memorable than the actual song. And I get why people think the ‘mountain’ scene seemed a bit out of place, but it didn’t bother me at all. The members returned to the stage, and there was a couple of minutes until we filed out of the room. In the meantime I was lucky enough to get Ranchan and Yasuda Kana right in front of me. Ranchan gave me and the guy next to me a really enthusiastic wave. The other guy told her that her performance was awesome, and I nodded in agreement. She thanked both of us. Ranchan also jumped up and down when I passed her leaving the theater, LOL Kana and I are ‘old friends’ so to speak, so she waved and said hello to me too. The other member to notably focus on me during high-wave was Yahagi, who actually stepped right to follow and try to talk to me, LOL. I left the theater, and quickly queued up to get the group photo set, which now has a limited edition folder drawn by Miyupon. From there I grabbed my umbrella, and took off for dinner, and then home. And I will be rooting for RAAAAAAAAAAANCHAAAAAAAAANNNN!